Great Masterwort is one of the most beautiful members of the family Apiaceae, but at a casual glance it is not at all obvious that it belongs to the Carrot family. Great Masterwort can grow to a height of 90cm, but plants 50 to 60cm tall are more typical. 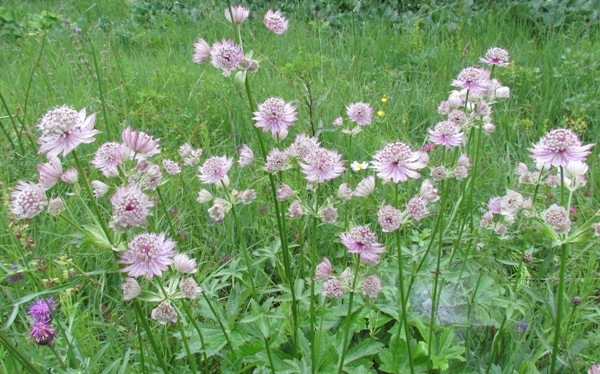 The flowers of this perennial, hairless herb can be pink or greenish-white and are borne in dense unbels. The inner flowers, which are about 1mm across, are hermaphrodite while those at the edge of the umbel are male; they each have five petals and five long stamens. . 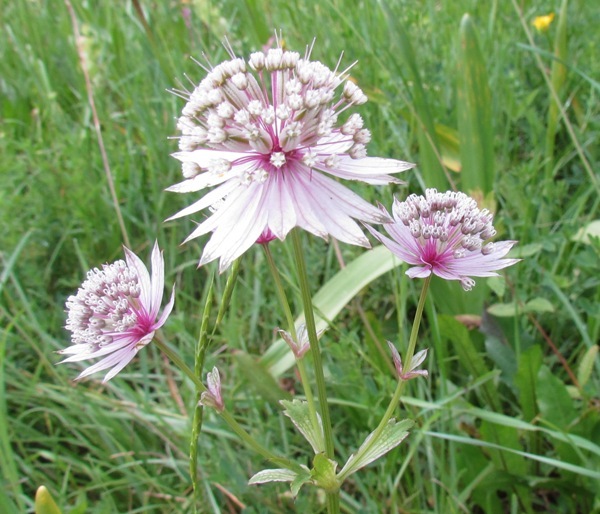 This lovely wildflower can be found in a number of European countries and will grow in altitudes of up to 2000 metres above sea level. Its territory in Europe extends from as far north as Sweden ansouth to include the Alps in Austria and Switerland, and the Julian Alps in Slovenia. To the east its range extends into western Asia. In Britain Great Masterwort is found only as a garden escape that has become naturalised. 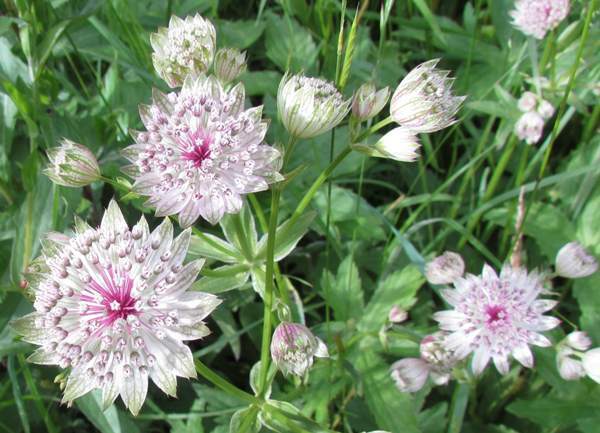 In the wild Astrantia major grows in dry to slightly moist conditions in open sunny positions in meadows, and sometimes on woodland edges. 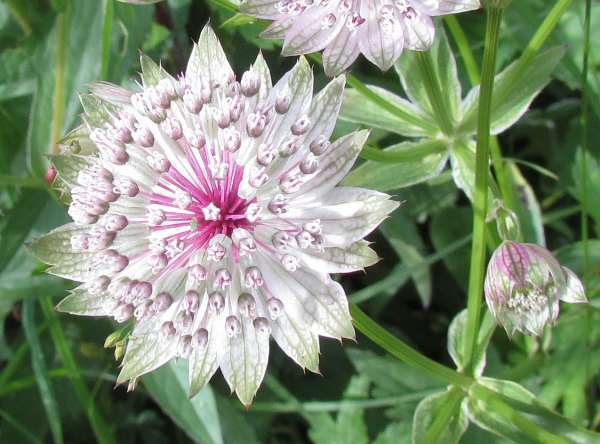 Astrantia major prefers calcareous substrates, unlike its smaller relative, Astrantia minor, which can tolerate slightly more acidic conditions. Great Masterwort flowers from mid-June until the middle of September. The specimens shown on this page were photographed in Slovenia in July.